/ How to clean contact-free? 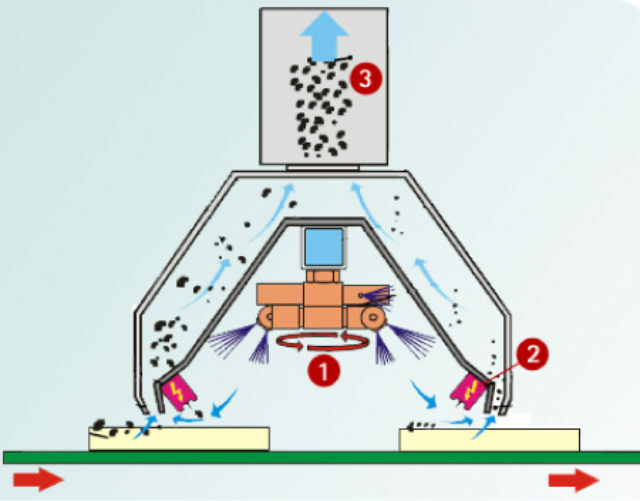 More often controlling static charges is not enough to fight fine dust. The solution offered by rycobel combines three different principles in one configuration, thus creating a technique that removes contactless stubborn dirt from all kinds of flat materials or trays. Quick rotary nozzles provide additional turbulence on the surface. Due to ionization, the dust particles are loosened at the beginning of the surface. Enhanced suction ensures efficient removal of dust.